Schedule regular inspections by putting them on the calendar on a weekly, monthly, quarterly basis. Waiting for biannual or annual inspections is inviting equipment failures when you can least afford them or encouraging small maintenance issues to become larger, more expensive repairs. In any civil litigation where an employee, client, customer, or visitor is injured or killed as a result of some type of security equipment failure—for a valid reason, accident, mechanical failure, or otherwise—the experienced plaintiff’s attorney will want to subpoena the maintenance or repair records for that device. Not having written records as evidence of either inspections, replacements, or repairs is the same as saying they weren’t done, even if they were. 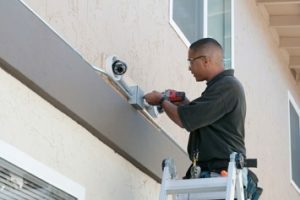 Inspections can include looking at interior and exterior cameras to check for vandalism or sabotage to the systems, weather damage, the cleanliness of the lenses, broken or bad lenses, ineffective camera angles, out-of-focus images, issues with too much or not enough light, or bad images during darkness because the infrared systems have failed. Exterior building and parking lot lights. Damaged or missing exterior door bollards or parking lot barriers. The operational functionality of exposed utilities, like gas lines, telephone rooms, or IT server equipment. The testing of fire alarm systems, fire extinguishers, burglar alarms, door-prop alarms, and panic alarms, including any personal panic alarms employees may use in higher risk environments like healthcare facilities. Testing employee badges and key cards to make certain that any “graduated access systems” (e.g., cards for mangers that allow complete building access versus cards for warehouse employees that only allow warehouse access and only during business hours) are functioning properly. Checking the functionality of all electronic access-control keypads and especially manual “Cipher-style” mechanical key pads, which can fail at inopportune times and can leave employees stranded outside or between hallways. Exterior and interior door hardware, especially where constant hard use and factors like the air pressure in the building can cause the doors not to close or seal properly. Testing the phone systems, desk handsets, and switchboard systems—often in consultation with the telephone vendor—to verify that the 911 functions work and the lines that are trunked into the building will display the facility address to 911 dispatchers. Testing all building-wide public address (PA) systems and any software-driven emergency mass notification systems that ring to employees’ desk phones or cell phones. Testing all emergency hallway lights, installed emergency flashlights, and any portable two-way radio devices used by employees or security officers. Be sure backup batteries are available for these devices. Testing any emergency or backup power systems, including the diesel fuel levels in exterior power generators. The functionality of all DVR or NVR systems used for camera recording, especially when they are housed in work or storage areas with dust, air pollutants, or moisture. Inspection of all IT server rooms, in consultation with the IT Department, to verify the operations of any of their cameras, lights, air conditioners, door alarms, or fire suppression systems.